On May 12 the Nevada chapter celebrated the 90th anniversary of CHS at the Mandalay Bay Hotel in Las Vegas. The Hotelies in attendance enjoyed passed appetizers and open bar at the beautiful Skyfall lounge. After cocktails, several Hotelies attended a delicious three-course menu full of flavor and surprises at Fleur by Hubert Keller. Special thanks to MGM Resorts for sponsoring the event. 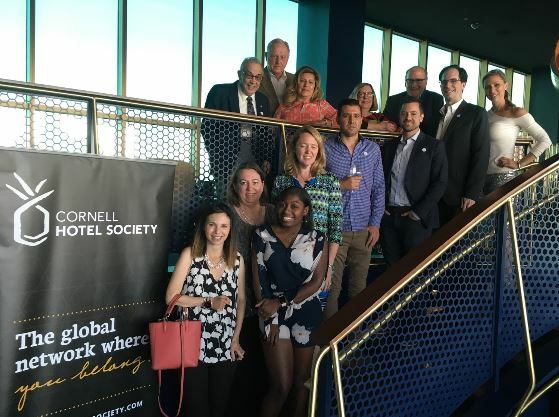 On Tuesday March 7, 2018, the CHS Nevada Chapter hosted a reception in conjunction with the HR in Hospitality Conference.